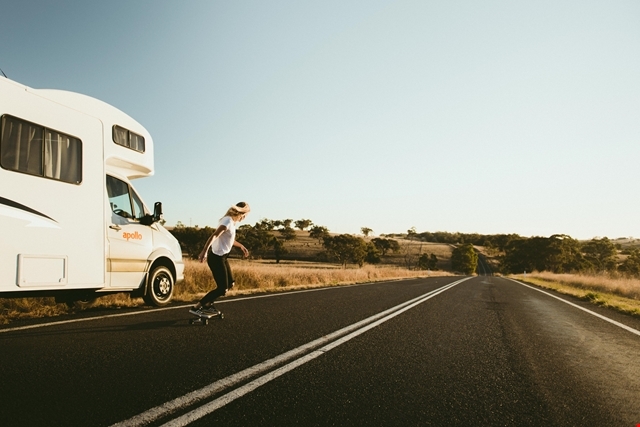 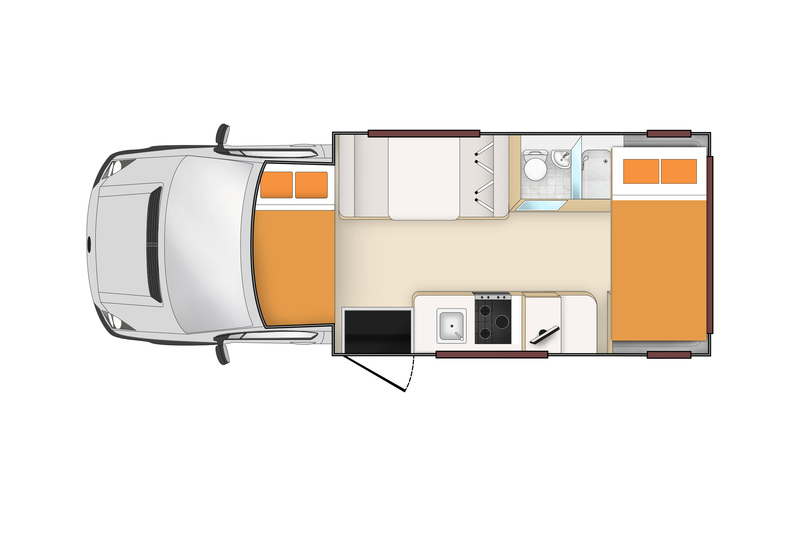 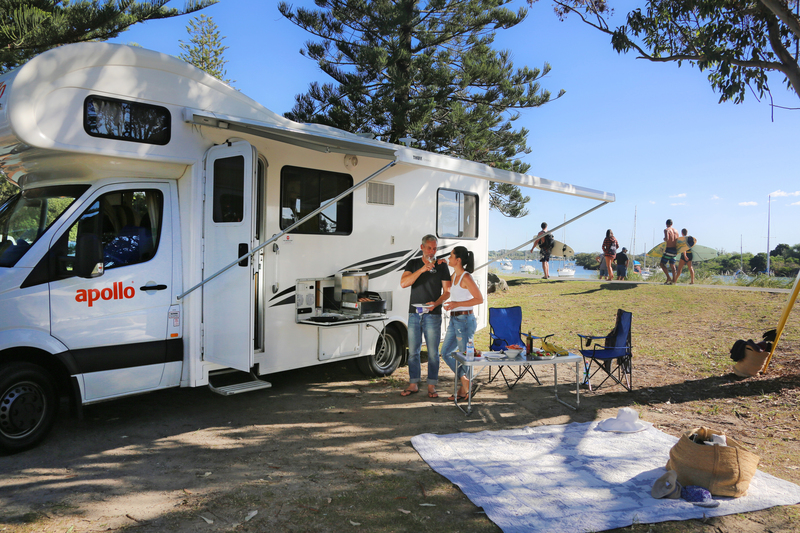 This innovative four berth motorhome features a unique automated bed lift system. 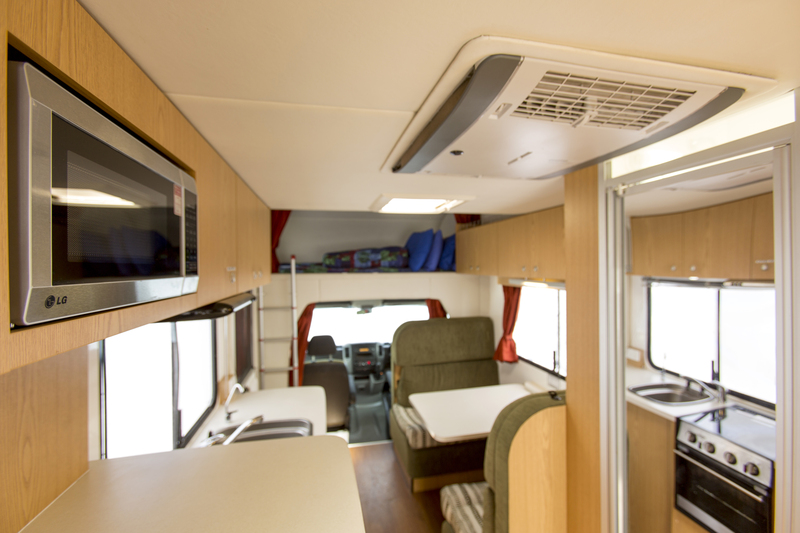 Simply press a button and your fully assembled bed descends from the ceiling. 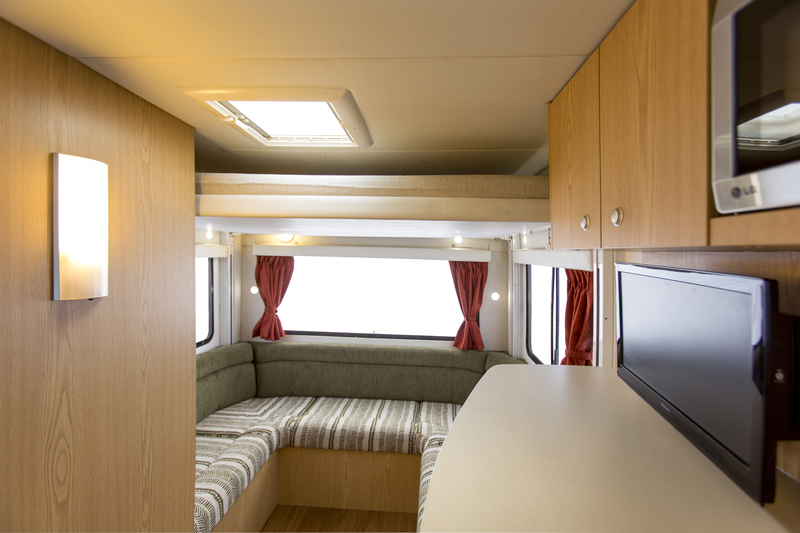 In the morning press the button again and your bed disappears once more, giving you more usable space for the day's activities. 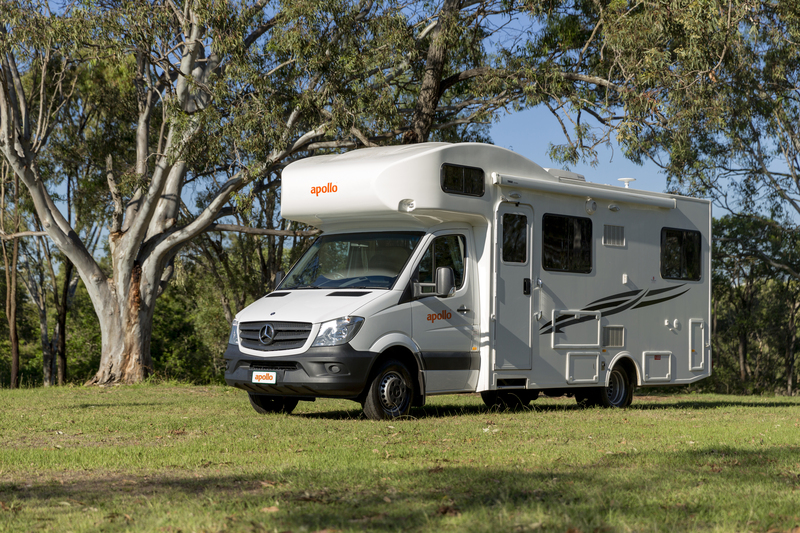 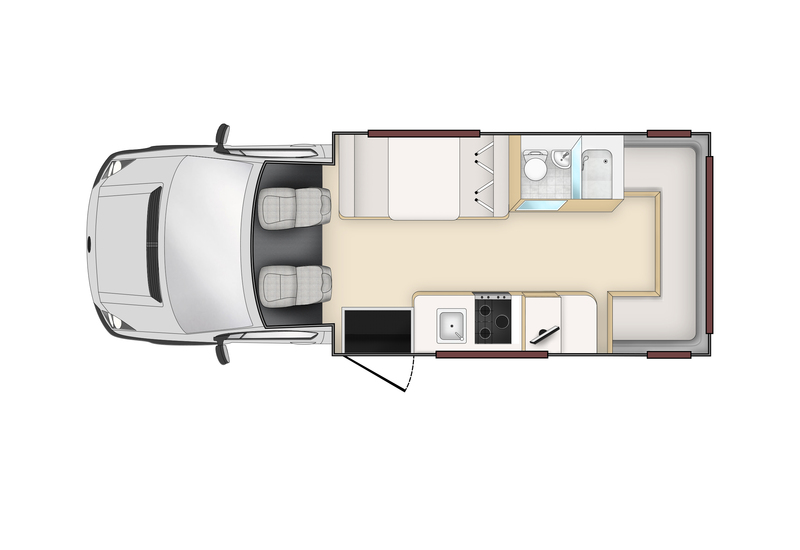 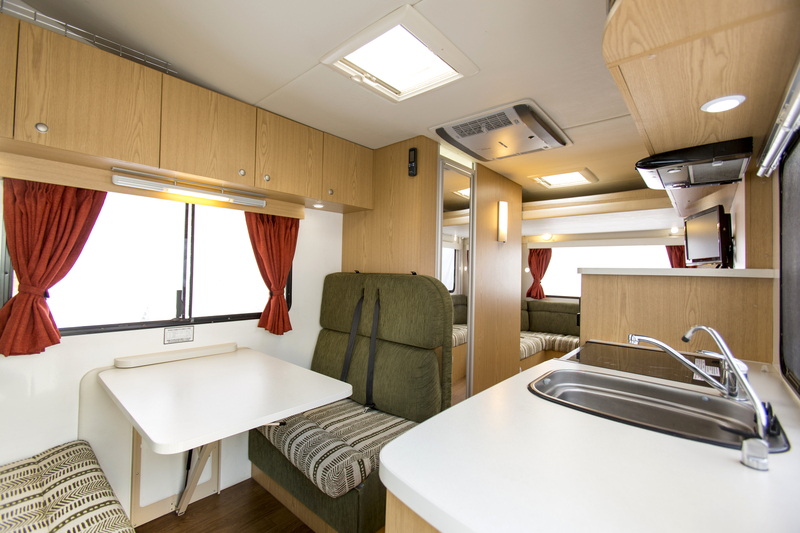 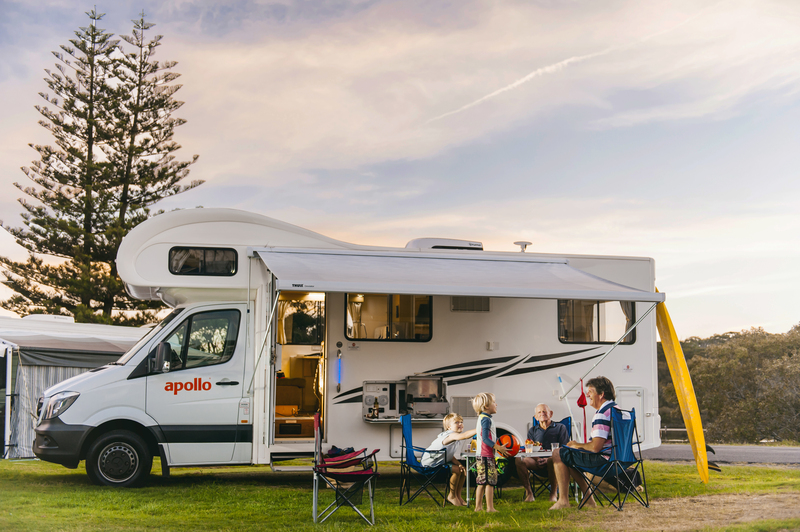 The Euro Star's modern interior includes a kitchen, an electric flush toilet, quality upholstery and a flat screen TV and DVD player.